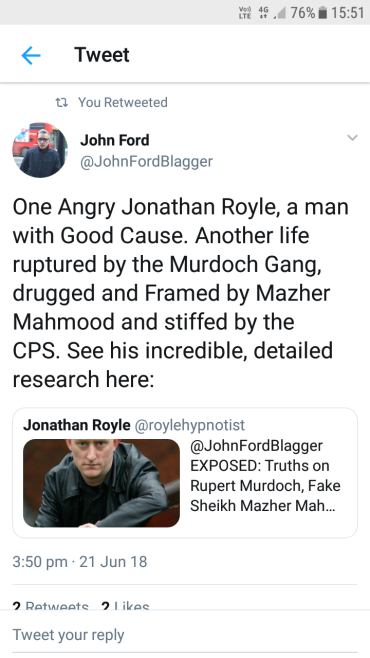 Published October 25, 2018 at 370 × 658 in Drinks Drugged & Spiked by Rupert Murdoch’s Fake Sheikh Mazher Mahmood ? – Hypnotist Alex Smith aka Jonathan Royle, Actor John Alford, Boxer Herbie Hides, Model & Actress Emma Morgan, Earle of Hardwicke Joseph Yorke, Stefan Thwaites, John Higgins, Tulisa Contostavlos, Lawrence Dallaglio & Other Celebrities & Royalty Drugged by Fake Sheik from News of the World, Sun on Sunday & Sunday Times ? ?